The final event in the Grinnell’s 100th birthday year will be a celebration of the Grinnell’s heritage roses, featuring noted author and speaker Stephen Scanniello, President of the Heritage Rose Foundation and co-author of A Rose by Any Name: The Little-Known Lore and Deep-Rooted History of Rose Names, who will share anecdotes about heritage roses, focusing on those roses in the Grinnell’s garden areas. Following the presentation, Mr. Scanniello will lead a walk-around to view the Grinnell’s heritage rose bushes. Special guest at the event will be Erika Linsey, Urban Planner with the Manhattan Borough President’s Office and coordinator of the Heritage Rose District of New York City. The Heritage Rose District of New York City is the first and only rose district in the country. 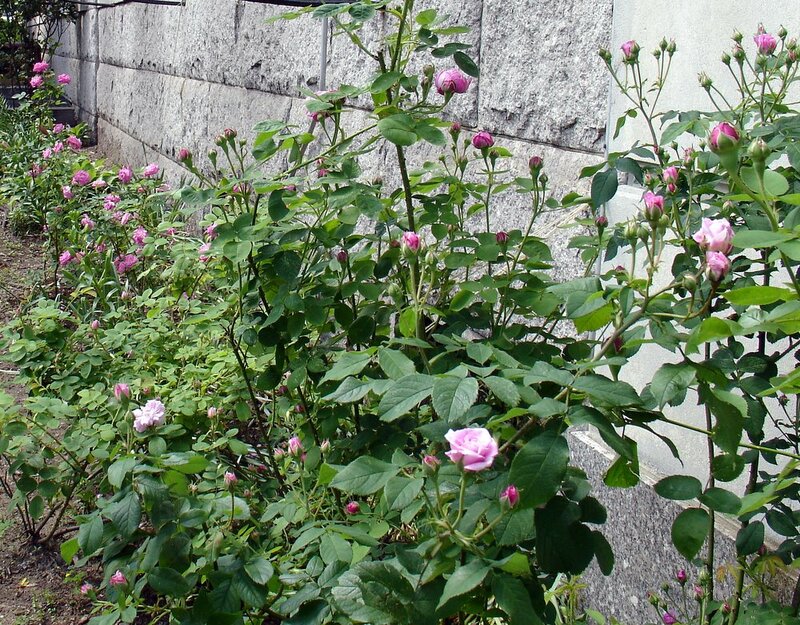 It is the result of the efforts of the Office of the Manhattan Borough President and the Heritage Rose Foundation, a non-profit organization dedicated to the preservation of old roses. Heritage roses, as defined by the foundation are roses that originated in the nineteenth century or earlier and that have particular historic, educational, or genetic value. 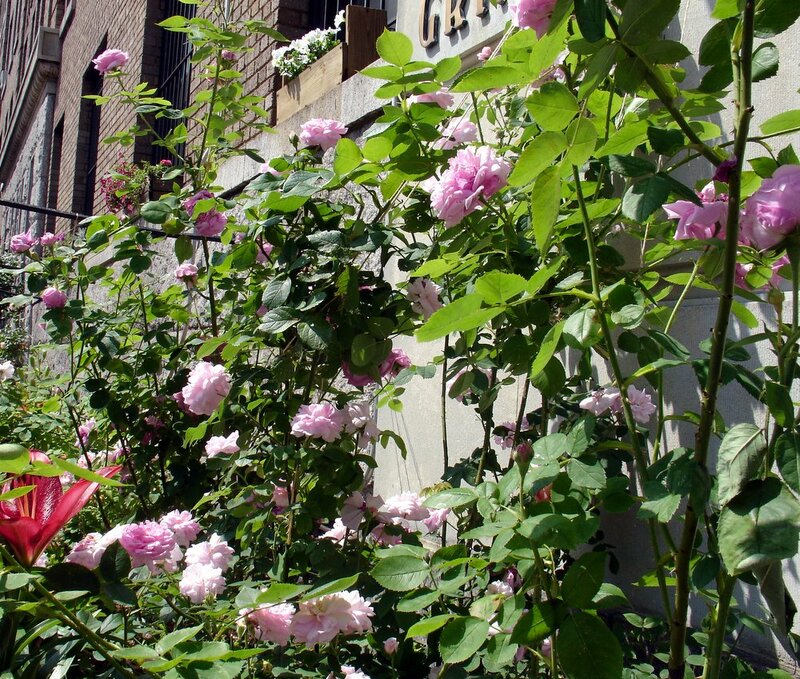 The majority of the roses in the Heritage Rose District, which stretches up Manhattan’s west side from 135th to 163rd Streets, have a historical connections with 19th Century Manhattan or 19th Century rosarians in Manhattan. Audubon, a reminder that the land where the Grinnell now sits was once part of Audubon Park and is now situated in the Audubon Park Historic District. Autumn Damask, a fragrant rose dating to before 1819. Hermosa, an extremely popular rose in 19th century New York. 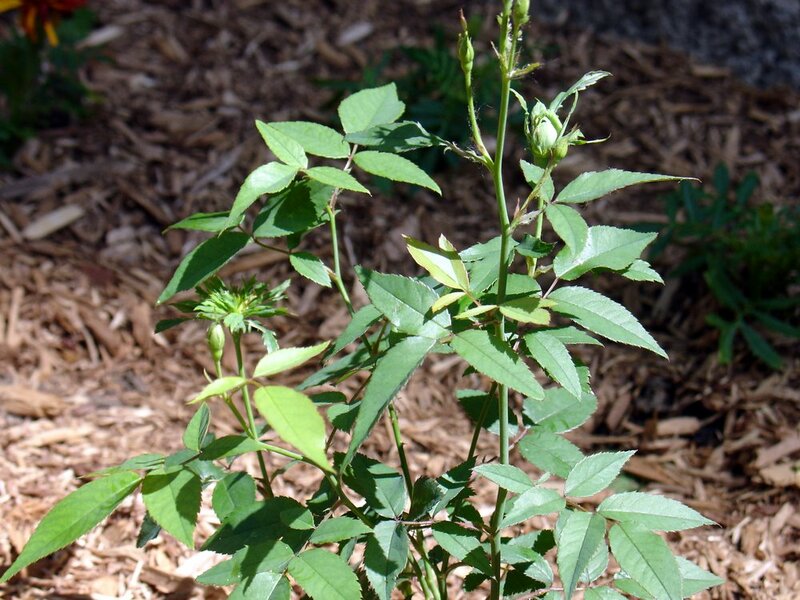 Green rose, first sold during the 1830s and purportedly a symbol for the Underground Railroad. In the Grinnell gardens, this rose honors abolitionist Dennis Harris who owned the land where the Grinnell now sits in the 1850s. Ispahan, a damask rose that takes its name from the area around Ispahan, Iran, where it grows wild on hillsides. La Reine dates from 1842, the first year the Audubons live in Minnie’s Land, the farm that evolved into Audubon Park. Marie Daley, a 1999 hybrid based on Marie Pavie, an 1888 favorite. Mrs. Anthony Waterer, a hybrid from around 1898. Sombreuil, a climbing tea rose from 1850. 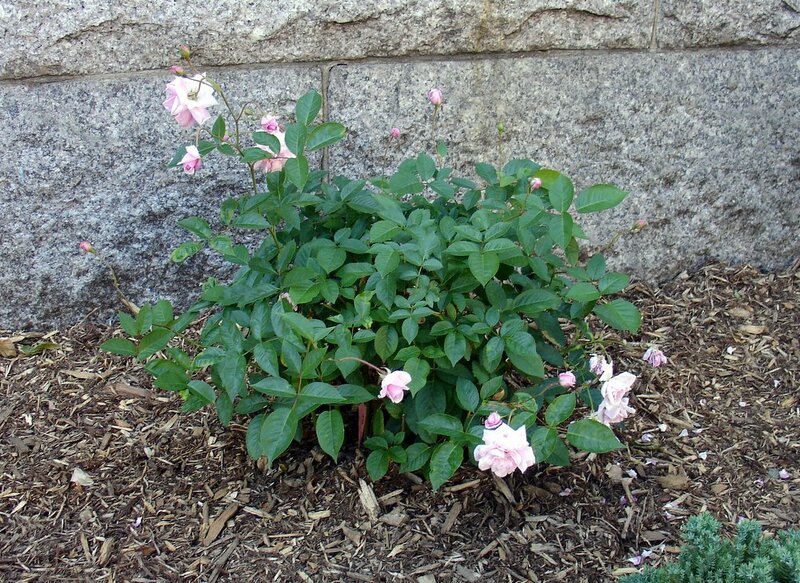 Richard Carman, who also once owned the property where the Grinnell now sits, was noted for the tea roses in his gardens.